After James Wan’s 2013 horror film The Conjuring, based upon Ed and Lorraine Warren’s supposedly true (though highly suspect) account of an actual haunting, turned out to be genuinely scary and generally well-regarded—not to mention extremely profitable—it was easy to understand why New Line Cinema decided to spin off that film’s creepiest element. 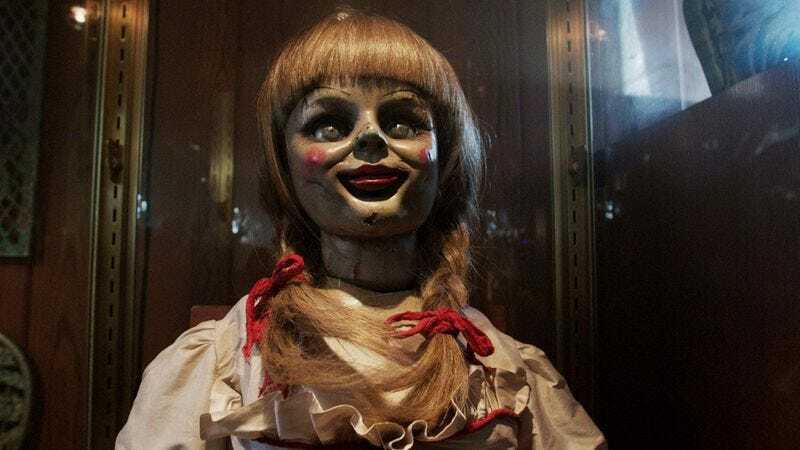 Unfortunately, though, John R. Leonetti’s Annabelle, named for the possessed doll at the center of its story, was a disappointment in terms of scares, if not box office receipts. However, because movie studios continue to enjoy dump trucks full of money, a sequel to that underwhelming spinoff was announced in October. There was little reason to feel optimistic. Until now. James Wan is probably more than a little responsible for the young director getting the job. He’s not only producer of both Annabelle films, but also Sandberg’s debut feature, Lights Out, which will hit theaters July 22. He may even see something of himself in Sandberg: Wan’s own debut feature, Saw, was also based on a low-budget short film of the same name.